Excess, luxury, beauty and the best of everything – living in the Capitol means having it all (or living like a celebrity). If you’ve ever wondered what it might be like to live like President Snow (minus the cold-blooded streak), we have the answer. The decor- (and Hunger Games-) obsessed design fanatics at SheKnows have put together a Capitol-inspired product roundup sure to make you feel like you’re living in the wealthiest place in Panem. While some of our picks cost more than you might normally spend, you don’t necessarily need to empty out your life savings; you just need to know what to buy to create a luxurious, Capitol-inspired look. No table in the Capitol would be complete without the ultimate in drinking vessels. 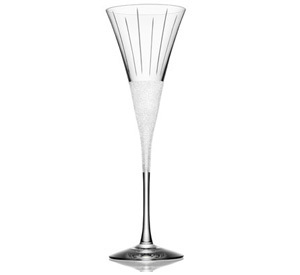 We’re willing to bet the champagne sipped out of these gorgeous flutes would taste better than from your average glass (horchow.com, $200 for two). The sparkling, made-in-Sweden glasses look as lovely on the table or countertop as they do mid-toast. Nothing says luxury quite like fur, and since we aren’t into the real deal, going faux is the only option. 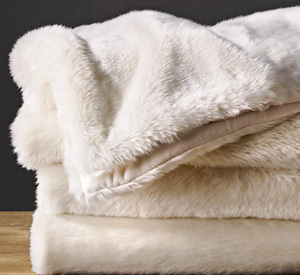 Anyone in the Capitol could likely afford (and wouldn’t be bothered by) real fur, but get the same luxurious look for less with one of these plush throws in faux Arctic fox (restorationhardware.com, $79). Toss it on the back of your favorite chair for instant decadence. Leave it to Donna Karan to create a decor piece as fluid and easy on the eyes as her high-fashion looks. 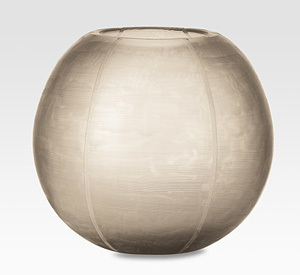 We love the chic simplicity of this round, lightly textured mouthblown vase made from artisanal glass (saksfifthavenue.com, $175). 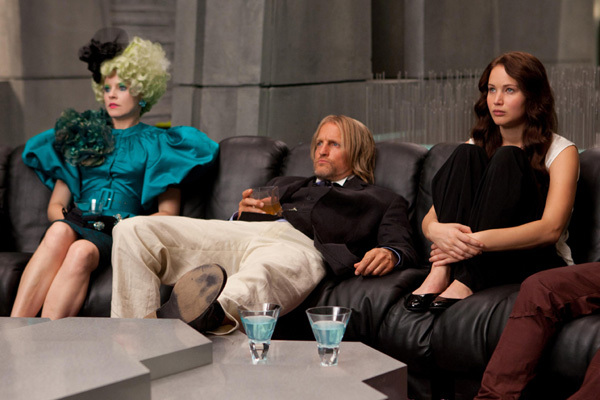 Can’t you just picture it sitting atop a table in Cinna’s house? Anyone in the Capitol is sure to have at least one mirror in every room. How else could they admire their latest hair (or body) color? 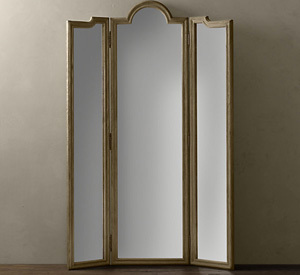 We immediately fell in love with this standing triptych mirror with three panes (restorationhardware.com, $1,325) made from solid oak in a classic French design. 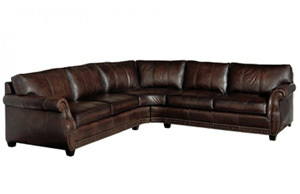 If you want to go big, bold and create a room that screams luxury, this leather sectional sofa is a great place to start (barileatherfurniture.com, $3,399). It has serious presence, which is what you need if you want to anchor the room and build a plush, wealthy look. Add your faux-fur throw (or a few faux-fur pillows) for added decadence. 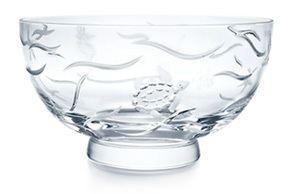 No home in the Capitol would be complete without a breathtaking crystal bowl (tiffany.com, $1,525). Our pick for ultimate luxury is this William Yeoward design featuring a pattern of etched sea creatures. A bowl like this looks best standing alone, getting the attention it deserves. We can just picture oversize hurricane candleholders like these adorning the mantel of President Snow (horchow.com, $895 for two). The impact they have is perfect for a place of stature, and we can’t resist the classic, elegant design. 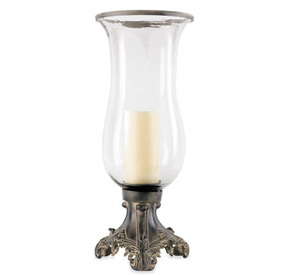 One placed on an end table or mantel is all you need to create the look of old world luxury. With so much primping and polishing to do on a daily basis, the people of the Capitol need comfort as they get ready for the day. 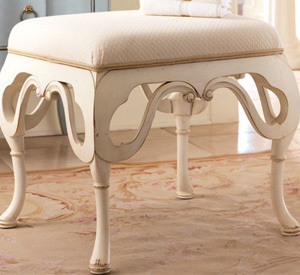 The perfect fix: This antique-inspired upholstered bench perfect for in front of a dressing table or mirror (poshliving.com, $907). Handcrafted from mahogany, this plush piece is chic, posh and Capitol-worthy.